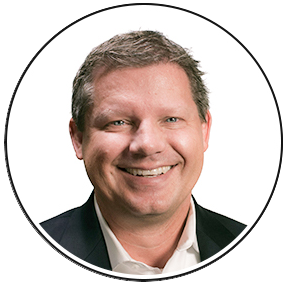 Scott Smith has an extensive performance history in creating revenue. His revenue experience covers two decades of implementing sales and marketing strategies including consulting, manufacturing, telemarketing, telecommunications and mergers & acquisitions. Scott joined OneAccord in June of 2009 and immediately joined the ranks as one of the highest producers at the firm. Complimenting his operating experience with several successful customer engagements and his unique ability to develop and train sales leaders, Scott led OneAccord in the role of President from January 2011 to July 2013. Currently, he continues as a Principal in the Northwest region. Prior to joining OneAccord, Scott was President/CEO of a Seattle-based sheet metal contract manufacturing business. During his ten years as President/CEO, the company grew revenues from $18m to $70m. At the foundation of this growth was a new organizational vision to increase efficiency and promote growth to its fortune 500 customer base. To accomplish this, a cultural and strategic transformation took place in order to align its 450 employees with the company’s sales focus. Successful implementation of this strategic plan included geographical and customer diversification, creating a global sourcing division, and adding mechanical and electromechanical assembly capabilities which resulted in providing revenue and profit growth without additional investment in capital equipment. Before joining the Manufacturing company, Scott was Regional Manager working for an individual private equity investor. Scott identified, led & closed five acquisitions/private placements that resulted in $50 million dollars of transaction value. In this role he gained an understanding of the private equity markets, mid-market valuations, and how to increase the enterprise value of mid-market privately held companies. With each of the investments, Scott participated on the Board of Directors and took interim Senior Management positions. Prior to the Investment Firm, Scott was Regional Sales Vice President for a Fortune 500 long-distance telecommunication company. In this role, Scott was responsible for leading a sales team of over 100 Sales Representatives throughout the Northwest. The Northwest region sales team was producing at a level that was more than double the production of the rest of the company.